As on Slieve Meelmore, there is a tower near the summit of Slieve Commedagh. On the southern side, at the head of the Annalong Valley, is a spectacular group of granite tors known as 'the Castles'. These can be appreciated from the Brandy Pad, a track once used by smugglers. During the 18th Century the Mourne Mountains were notorious for smuggling commodities such as wine, silk, tobacco, tea and brandy, mainly from Britain. The cargo would be brought ashore under the cover of darkness and taken over the mountains to Hilltown and the surrounding areas. Slieve Commedagh is the second highest mountain in the Mourne Mountains area and the 64th highest in Ireland. 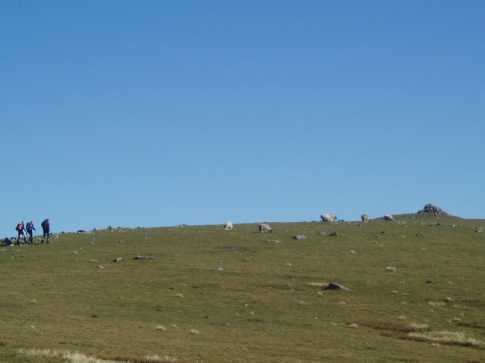 Slieve Commedagh is the second highest point in county Down.